If you want to know How to Start NGO? Then you have to know the basics information to start and run NGO. To start and run NGO you will need more than just money, a genuine desire to support others. You have to pass through and adopt the process to prepare and filling up paper work, meet and associated new like minded persons of society, have to arrange funds and manage financial activities with reports, have to pay paying fees and other expenses, have to plan and prepare budget proposals, prepare and organise projects and implement to run NGO. Have you decided to go ahead to form and run NGO want to know that from where to start it? To start and run NGO is almost similar process to run company but here you have to keep transparency and it is not for profit, you have to work for welfare of society without expecting any profit. So you have to make sure before running an NGO that you really want to do. If you are thinking to start, run and establish NGO (Non Governmental Organisation/Non Profit Organisation) then it is a long process and a kind of non profit charitable entrepreneurship. It requires time, resources and team of persons to establish and run NGO. The founder and group of persons who wish to form and run the Non Profit Organisation must have a strong vision and dedication that can share a concern with society. The task must me initiated and organised in correct, managed and strategic pattern to implemented the desired services for the benefit of the society that ultimately can be very useful in the implementation of vision of social entrepreneurship. If you want to form and start NGO then you have to pass through and adopt the following steps , that will be helpful in the formation and run of an NGO. Here are the basic concepts to run and form NGO with certain basic guideline but the issues may different in case of different kind of the area and the motto to form and run NGO. If you are going to establish, register and run NGO then you must keep in mind the main point that the process can vary from areas, persons and objectives to form the NGO, as some of the areas, locality and kind of NGO may have certain different requirements so these point can be endorse to make the basic clarification. For more clear action and implement the concept the suggestions, advice and consultation services of expert, experienced and recommended NGO consultants are required. What are Basic requirement to form NGO? The first initial essential step to start NGO is to determine the purpose for which you want to form the social organization. There must be a decided clear and concise statement that define and represent the clear mission of the charitable social organisation. The values of the NGO must be reflected in the frame work and statement in clear way that why it is being formed and after creation and registration it reflect that for what purpose and goal it exists. The target group of society and priority must be well defined in clear way and concept. Before, at the time and while forming and starting the process of establish the process to keep the organisation in existence it should be envisioned that for what purpose, objectives and long term goals the the organisation will be for. This is possible through move ahead by deciding and implementing the ongoing work planning and to achieve the goal by long term strategy. 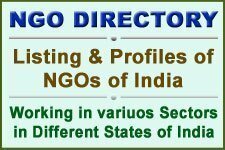 In India the registration process for NGO is available under various Acts and laws in different states; mainly under Trust, Society and Non profit Private Limited Company. Under Indian Trusts Act a Charitable Trust can be registered. In Charitable Trust at least two persona are required, there is no limit of maximum members. In Maharashtra Trust and Society can be registered under Maharashtra Public Trust Act. A society can be registered under Societies Registration Act. In society minimum seven members are required. Formation of Trust under Indian Trust Act is easy. A non profit Company can be registered under section 8 of Companies Act with the Registrar of Companies. To start, setup and run social entrepreneurship as in form of NGO, the founder(s) must be with a team decide and organise team of the members that will be the board of directors of the organisation. It can be initiated and started with the like minded, dedicated persons with the spirit of charity and social welfare with commitment, because the members who initiating are the base and foundation of the NGO. If you want to start really the NGO based on charity and social welfare then you and your associated team members must be with strong vision and social dedication so you and they can better serve the society on the basis of the public interest issues. The financial status can be initiated by own efforts and with the help of supporters. The legal and technological skills can be made available by contacting expert consultants. The persons who have clear mission and goals of the organisation and who have sustainable and progressive ideas to contribute in the entrepreneurship task are essential part of the process. The founder persons must be able to work in a team in order to setup and make stable the organization by initiating and getting acceptance with the community. There is no limit of number of persons of founder members or their supporters it depends upon the contacts and acceptance of the needs for which the organization is to be established as NGO. To provide legal consulting to get the Registration of Memorandum, Documents and get Certification. The process and issues regarding Registration may be simple, but to take the consultancy service from nay NGO Consultants who are expert and have specialisation in this area, so it will be time saving and reassuring. 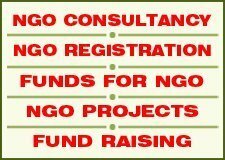 If you are thinking about the fees of the NGO consultant to register the NGO then keep in mind that the experimental process can be in a result of the useless efforts and after utilisation of some time it can be almost use useless as if the NGO is not formed and registered with the required needs, laws, objectives and purpose then it will be useless to get the funding with the copied instruments and inappropriate registration process. The initial investment as the fees of the expert consultant always will be useful for long term part. To acquire the legal consultancy services through a legal expert consultant will_ assistance you to form the useful and well capable organisation at legal part that will achieve the required targets and goals you have planned and decided. To check and prepare the formation with copy part memorandum is most of the time useless. So it is most recommended that you should take consulting services of the consultant who is expert at legal part and have expert with experience in social sector for long time and dealing more social entrepreneurs. So taking the service of expert legal NGO Consultant with expertisation is the best option to process and maintain sustainability. 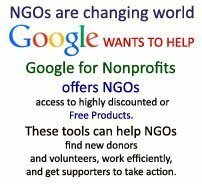 It is obvious requirement that the name of NGO must be decided when you are thinking to form the NGO. The name of NGO can be according to your ideas or it can be unique as you have planned to serve the sector and part of society. 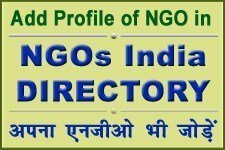 In India the name of the NGO must be not equal to the any name similar to any Government Authority Body, Board or Ministry. The names must not be restricted in the Emblem Act. When you are registering with the required name under Society Act then it is essential to find and make sure that the proposed name is not already being used in the office or the jurisdiction where you have to apply for the Registration. To register the NGO as non profit company under the Registrar of Companies then the name equal or similar must not be there. The name is not an issue if you want to register the NGO as Trust under the Indian Trust Act . A clear statement that declares that the NGO is nonprofit and Charitable. Location to register and working area of the NGO. Name of Founder members and/or Name of Board Members with required Designations. Extent of personal and social liability of members, beneficiaries, associates and concerned. To explain the capital stock and other instruments of NGO. How long the NGO is expected to exist as revocable or irrevocable. Other required information and detail. The proof of existence with accountability of the organisation is based on Memorandum or Articles of Incorporation. And the contents of the Memorandum are the bylaws. Bylaws represent the rules, regulations, operation modes, working pattern, working area, responsibilities of the NGO and objectives of NGO. The founders have to mention in the bylaws of an NGO that how, where and for what it will operate, run and work. Bylaws are rule book that determine the structure, power and operation methods and process of the organisation. The bylaws are prepared in accordance with the legal parameters of the Act and process under which the NGO is being formed. With the bylaws founders must conform to the needs of their organisation. ” Responsibilities and duties of Members, Designation Post Holders, Office Bearers . It has to be decided to determine in the memorandum of NGO as bylaws to incorporate that what would usually be included in the bylaws. So, before the submission of application of registration of NGO it is essential to decide and approve the Articles of Incorporation; and the bylaws must be drafted and included in Memorandum. If you have decided and chosen the name(s) of NGO, prepared and completed bylaws and articles then yoou can proceed to register or incorporate the organisation. The rules and regulation are different in various status and various Registrar offices. So you can take advice and support of consultancy firm or consultants. The documents, fees and process to submit them are different in at different states, districts and even at at different zones in the status. In all offices and at registration authorities it is mandatory to submit the Memorandum with the names of founders and names of the board members, objectives, mission statement at the time time of registration. In_ most of cases the consultancy service is required. So you have to submit the documents with the help of the legal consultants. When the documentation and required fees is submitted then you can get the Registration within certain decided time. The time may be different at various different places and registering authorities.